Aloe vera gel is gleaned from the leaves of the aloe vera plant. People have used it for centuries to treat skin infections, burns, wounds and other kinds of skin conditions. Due to its soothing, moisturizing and healing properties, aloe vera gel can be applied to scars to help the skin repair itself as well as lessen irritation. Scars result when your skin begins healing after an injury that damages its surface, such as a cut or scrape. The size, shape, color and severity of your scar will depend on several factors such as your age, skin color, genetics and other types of skin conditions. While no topical treatments can make your scars vanish, applying a gel such as aloe vera to the skin may help lessen the severity of your scar's appearance, as well as keep your skin moisturized while it heals. Aloe vera has anti-inflammatory properties that cut down on skin irritations, as well as help your wounds rid themselves of dead skin, according to the Huntington College of Health Sciences. The college goes on to say that aloe vera can lessen surface swelling and help repair damaged skin cells, as well as protect newer, healthier ones. Aloe vera is able to penetrate deeply into the skin to moisture it and help increase the amount of collagen your skin produces to promote healing. 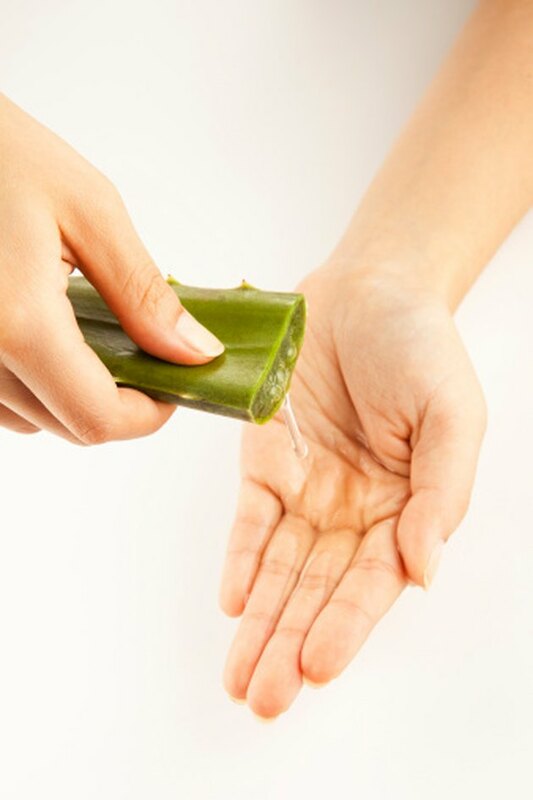 Holistic Online notes that aloe vera can be found in a number of topical products, including gels, ointment, salve and lotion, or you can prepare the gel at home. To heal your scars, apply the product of your choice directly onto the affected area three to four times a day or as directed by your physician. Applying aloe vera gel to a surgical wound has been shown to slow healing, according to the Mayo Clinic. It may also cause redness or burning to the affected area. Further studies are needed to explore this side effect, but talk to your doctor before using aloe vera on a surgical wound or scar. While the Mayo Clinic notes that topical application is most likely safe, do not use aloe vera if you are pregnant or nursing without first discussing it with your doctor. The clinic also states that if you are allergic to garlic, onion, tulips or other types of plants in the Liliaceae family, you may experience an allergic reaction to aloe vera. Seek medical attention if this occurs, and stop applying the gel immediately.